Phil and Maxine recently purchased a home with a pool in Vilamarxant in the run-up to sharing their retired life together. Surrounded by orange groves and scenic views, they look forward to creating more memories with family and friends. 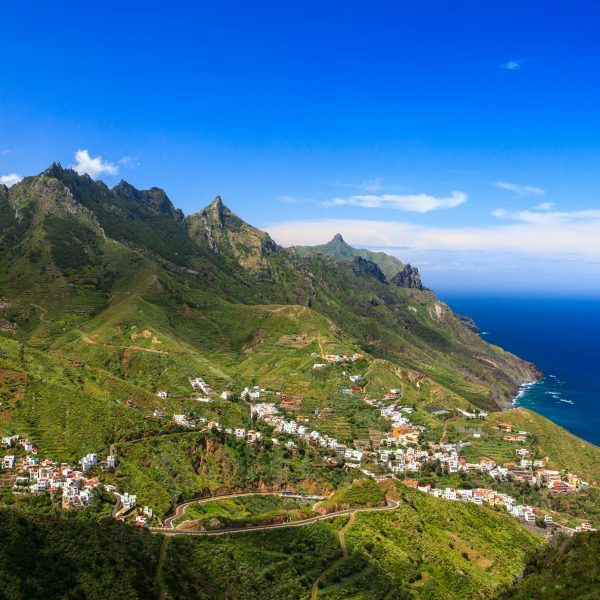 Tune in to hear their advice about the area, the importance of clarity with what you want to buy, and why Spanish living is perfect for retirement. Welcome to the Kyero.com Spanish Property podcast where we interview people who recently purchased a home in Spain. They tell us what worked, what didn’t and what they’d do differently next time. I’m Vicky Carter and today I’m speaking with Phil and Maxine originally from Cheshire in the UK. They purchase their home in Vilamarxant, in the Valencia area. With Phil's recent retirement from the RAF and Maxine's soon to be retirement coming ever so closer, it was lovely to talk to them and learn about their new home and their new, exciting plans and projects for their next chapter. They worked with Estate agent Home España to find their dream home in Spain. Phil: Well, I retired last week. Previous to that Maxine and I owned and ran our own canal holiday boat business here in the UK. Prior to that Maxine was an expert in early years education and head teacher development and I was a flight test engineer. Vicky: Oh wow, fantastic. So, [those are] quite hectic work styles there, and lifestyles. I can imagine balancing that all. How does it feel to be retired? Maxine: I’m not, Vicky. I’m still working. I’m keeping him in the manner to which he has become accustomed. Phil: From my personal point of view, the list of jobs I’ve been given since I’ve retired is incredible. Vicky: Well, I completely agree with Maxine. You have the time and you’re able to do the bits. Maxine: Absolutely, keep him busy. Vicky: Yeah, wonderful. So, you’re originally from Cheshire and you bought... or did you rent? Did you buy or rent? Phil: We bought in Vilamarxant. Vicky: Beautiful, so that’s about half an hour from Valencia. Phil: Yeah, twenty minutes from the airport, half an hour from Valencia, fifteen minutes from the moto grand prix motorbike circuit. Perfect. Vicky: Wow, so what made you choose that exact place? Phil: One it’s because it was, roughly, in the area where we wanted to settle. We love the Valencia area. We love Valencia city. 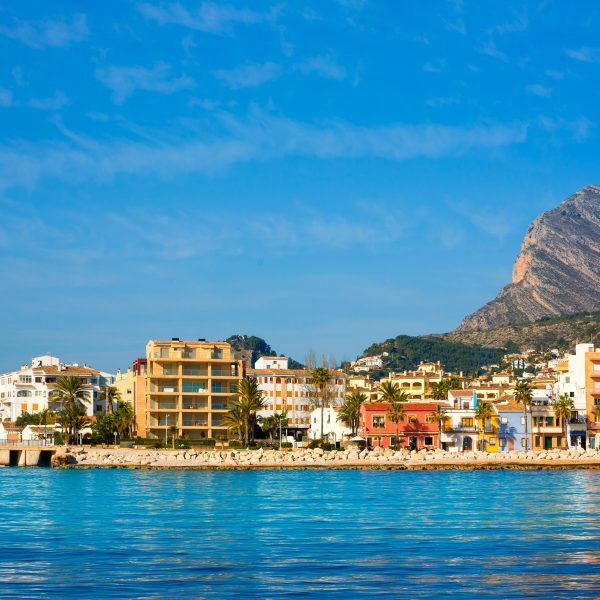 We love the fact that it’s a Spanish area where it’s not overwhelmed with expats or tourists and you have to learn Spanish if you want to get along. It’s a complete change from bolting around the world, five hundred knots all over the place, and working seven days a week. It just ticked all our boxes that we wanted: in the right place, and the right time, the right house size, the right garden, and it is just lovely. [It was] everything that we wanted, from large, cool rooms, and a “man cave,” at the back, where I can get my tools out and build things. And it’s really quite close too, although it’s remote. It’s really only two kilometres from civilization, as it were, with hardware shops, restaurants and cafes and dead easy to get into Valencia. So, that was it. Vicky: That sounds incredible. Yeah, you’ve got the best of both worlds, really. You’ve got that nice quiet rural life to step away from. Seven days a week? That’s a lot of work, so I can imagine that you’re very happy to step back from that hectic lifestyle. But also be close to the airport and also have friends and family visit, I’m guessing, because it’s close proximity. Is that one of the reasons you want to be near the airport? Phil: It is, absolutely, so that the grandkids can come and throw themselves around the swimming pool, and pick our oranges and just basically be a nuisance during the summer. Vicky: Oh perfect, so, how long have you had the property? Phil: We bought it in September. We wanted to see it in January. It was on the top of our list. But we caught the flu in January, so we didn’t go. Then when we went to look at properties in April, this one had been sold, so it was off the list. We tried to buy another property, but the lenders pulled out. When we went back in July the people buying this property had pulled out, so Connor, from Home España, took us to this, the first on the list, because we went to see it five or six months earlier, and we just cancelled the rest of the days touring around because it was just what we wanted. Vicky: It’s almost as if fate [intervened,] really. So, someone else [backed out of buying] the house and you managed to pull out from another property to find the one that you were looking for, and you cancelled all your other plans, that’s fantastic. So, did Home España already know what you were looking for? Was it collaboration? Did you tell them what your dream home in Spain looked like? So, it was always relaxed whenever we went into the office. There was always a cheery welcome. Everybody spoke to us. Drinks were offered and it was just that the whole experience was just, from start to finish, absolutely brilliant and one that made it easy to buy, particularly when we found the second property because we’d already been introduced to the solicitors. We’d already been introduced to the notary. We had our NIEs. All that sort of stuff they sorted out for us and supported us in finding stuff out. It really, really made it easy. I was actually quite daunted when we started looking. But with Home España it just wasn’t a problem. Everything just worked, didn’t it? Phil: It worked perfectly and on time. There weren’t any delays. They, obviously, couldn’t guide us or they couldn’t lead us and say, “This is the notary we want you to use, or the solicitors, or this is the bank or bank transfer company that we want you to use.” But, they just gave us recommendations and they gave us suggestions. But, every suggestion of theirs that we followed was one hundred percent professional, and absolutely delivered on time, no delays, no over budget. Everything was exactly as we were told it was going to be, so we were pretty happy with that. Being a flight test engineer, I’m quite used to things being over budget and late. Vicky: Yeah, I can imagine. That’s wonderful because I think most people would find that it’s a daunting process to buy in a foreign country. What would you say the process has been with language barriers, or as you mentioned before the notary and the finance systems? Maxine: We had some fun, Vicky, the first time we logged onto our bank account it was all in Spanish. Neither of us speaks Spanish, and it was all in Spanish and it took us, probably, about two and a half hours to find the button that said, “Translate to English.” By that time we managed to Google translate to work our way through our account, our account number, and transfer in some money. So, we were pretty confident when we found the English button, that everything would be alright. Phil: I’m accustomed to working at a professional level, in my industry, and so is Maxine. It’s unusual for us to meet, in our general lives, an organisation that is so professionally tuned to what the customer needs. Also, to make sure that what the customer needs is in place every time, absolutely on the button every time. We just think Home España is marvellous. If Connor wasn’t available we spoke to Ian, and Danielle is there, and anyone we ever needed to talk to was as equally efficient and pleasant and easy to work with as the previous person that we’d spoken to. As a result of that, this coming summer, next summer in 2019, we’re having a pool party for the staff of Home España, to say thank you. Vicky: Oh, that’s wonderful. I’m so happy to hear that it was such a smooth journey for you and that you were able to get that excellent customer service with whoever you spoke to, to make the transition easy for you, but also that you can have those social events with your fantastic pool that they helped you find. Phil: I’m sorry, it’s a bit of a boring report, really. It was excellent, and that’s all we have to say. Vicky: Did you visit the area before you bought there, or did look around various areas and thought? 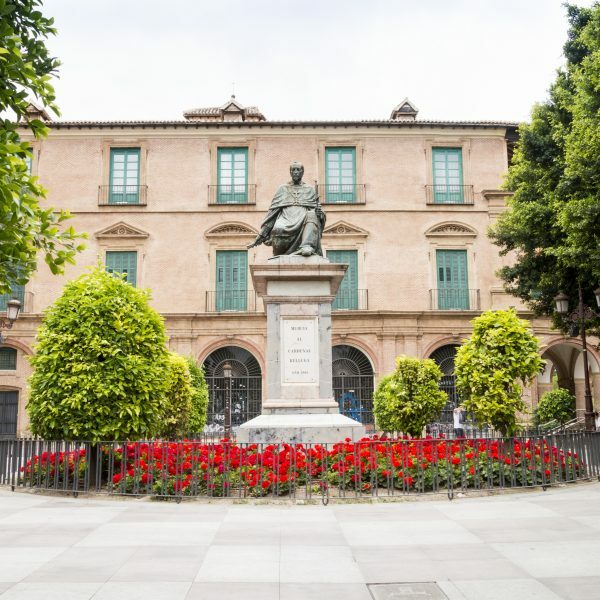 Phil: We did, as we said, Vilamarxant Is pretty much in the area because we’d been looking around Llíria and Bétera and looked to Olocau and Marines and that was pretty much the area that we wanted to in Spain because it links in with friends we have up towards the Barcelona area. We have friends that we've got in Malaga and Gibraltar, so it was where we wanted to be. 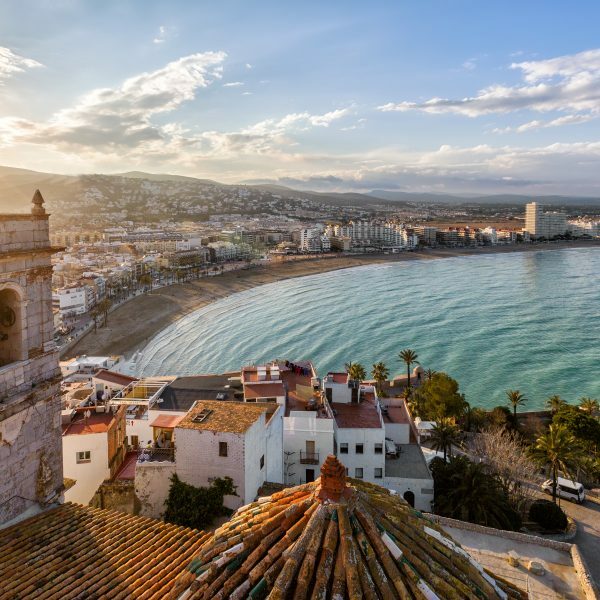 The other thing about it is that Valencia just has to be one of the most beautiful cities in the world, and one of the most friendly and easy cities to get around. The whole ambience of the place we just loves. So, it was just where we wanted to be. Vicky: Yeah, it’s a perfect city of arts and sciences and then, obviously, you’ve got the aquarium as well. The park there is actually perfect for the grandkids. So, where did you actually start your search for your dream home in Spain? What kinds of channels did you use? Did you start searching from home, or did you test the ground level and start the search from there? Phil: We visited friends in Spain on frequent occasions in the past. So, when we started we decided we were going to look in the Valencia area and we literally just hit the internet and started on the internet. Now, of course, there were a couple of other websites. 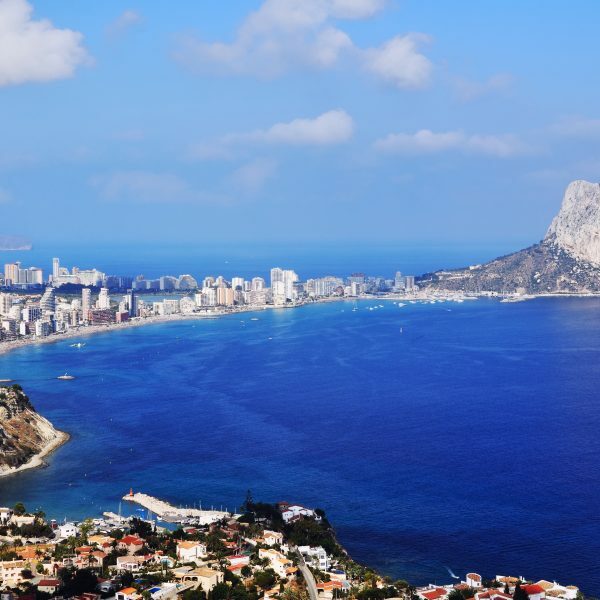 Of course there are quite a few that are centred around the Alicante area and the Costa Blanca... the Costa del Sol. Home España seemed to have quite a large presence in the Valencia area. The adverts, on their website, were put together pretty well so that you could actually steer right through what you needed to do. All of them met the criteria that we’d given them, in one way or another. There were very few failures on that list. Of course there were one or two that had been deserted, for twelve months or two years, that looked great on the photographs but that were horrible in real life, but that’s not Home España’s fault. So, everything was great. It just worked well, and it was just easy. Maxine: So, the thing we can say is that it was just absolutely easy, Vicky. There was no... I was actually quite daunted when we started doing this. How will we find our way from A to B? How will we find the houses when we don’t even know the area? All that sort of stuff. They just sorted all of that. They met us at the hotel in Valencia, drove us to wherever we needed to go, brought us back. It really was so, so easy. We can’t praise them enough. We can just say how simple it was from sitting here looking at houses on the internet and going, “Hmm, that looks nice, and that looks nice,” to actually going, “This is the one.” It was no effort, it really was not effort. Phil: We had toured the area, previously, on a few occasions. We'd been out there and used a hired car, and we'd been to Mountserrat for lunch and other places for dinner and down the coast and up the coast. So, we have driven around it. We did have a feel for the area and Vilamarxant suits us perfectly. Vicky: Oh wonderful, I'm so happy for you. Yeah, it's this middle ground between mountains, and you've got Valencia. As you said, you've got the beautiful orange trees and the pool, the wonderful views, the peace and quiet. Oh, it sounds fantastic. I'm really happy for you. And I'm really glad that Home España were able to be so attentive and, pretty much, it sounds like, read your mind and be able to visualise what you wanted. What aspect did you find most challenging? It sounds like, actually, finding the Google translate button... What did you find? Phil: It was the professional lead and suggestions that they gave us in terms of setting up a cashier bank account. There were two or three banking direct services or currency or whatever they want to call themselves. It was explaining how those systems worked. It was also the suggestions on which notaries were going to be good, or which solicitors were going to be good. So, we were introduced... We weren't introduced, we were just led in the right direction. But when we said, "OK, we'll go and see TLA, or we're going to see CaixaBank, they just phoned up, sorted the Spanish, arranged for us to have an interview, a meeting with a member of staff from the bank that was fluent in English. So we went there, we set up our CaixaBank account, linked it into our currencies direct account and it was painless. Now, when we want to move money we just go online and we just transfer money straight through to our account in Valencia, in the CaixaBank. We've got cash point cards, Visa cards, so everything is just easy to do. We've set up direct debits to pay for the electricity. In fact we had a real mess up with the security system. A couple of times we tried to log on and register our names and bank account with the security company and we got it completely wrong. So, the first thing that we did was email Danielle and say, "Help!" And it just got sorted. Vicky: Oh, that's so great. Their quick response, as well, and they managed to smooth over all those hiccups. What would you do differently next time, do you think? Maxine: I don't know what we'd do differently. Maxine: No, I don't think I'd do anything different next time. Our intention is to go and actually live out there. So, our intention is March, April of next year we'll be moving there as permanent residents. So, hopefully this is our forever home. Hopefully there won't be a next time. It's certainly easier than buying a house in the UK. Loads easier, loads easier. I tell you what, if I could find an estate agent, in the UK, that delivered the service that Home España delivered to us I'd probably have been a very happy woman. Maxine: It's funny, at the same time as we were buying our property out there, a friend of ours was selling her Mum's house. Unfortunately the mother passed away. The nightmare that she was having with estate agents, with people's pension companies, with local authorities, with the councils, etc. etc., ours was just going along absolutely "tickety boo" and every time we saw her it was, "Oh no, the council wants to know when the Mum put an extension up," or, "Now the council wants to know how long [it will be before] we have planning permission for that." It was just endless, whereas, for us, Home España, because it's a rural property, where we are, there is no Certificate Of Habitation for it and that is always a risk buying something in Spain, we understood, if you didn't have a Certificate Of Habitation. The next best thing is to have an architect come out, walk the boundaries of your property with you and actually register that with the Contrado, which is like their local council. All of that happens as a result of us having a conversation with the solicitor. Home España actually went out with the solicitor, met with the two neighbouring properties, the two owners of the neighbouring properties, sorted it all out and lodged it with the Contrada for us. Now, that's the sort of service that you would expect in the UK. By comparison with what our friend was going through, [for us] this all happened, we knew the date it was happening, we were told the day after what the conclusion was and the fact that it had all been lodged with the Contrada and it was done. That's the sort of thing we were meaning when we were saying it was just so easy. If there was an issue, it was sorted, it was dealt with very professionally and it wasn't a difficulty for us. We didn't have to fly over there and be present. It was just, "We can sort this for you if you're happy for us to go ahead with it," and it's done. And it was. Vicky: Wow, the parallel between your friend in the UK and you going through the process, and it being such a smooth journey. That's so lovely to hear. What are you looking forward to most, in March and April, with your new home and moving in? Phil: I'm knocking a couple of walls down and moving those. I'm building a little area where we can put a sunshade up where we're going to have barbeque. I'm building a pool room so that the pool equipment isn't in a box, it's actually in a ventilated shed and I'm putting some pool heaters in. I've got plenty to keep me busy, thank you. Maxine: And I will be retiring next March. Vicky: Oh wonderful. So wow, you've got loads of projects to keep you busy and expand your... Oh, it's so much to look forward to. Phil: We've looked forward to it and now we've got it and it's great. Vicky: Oh great. And you said before that you really like Vilamarxant because you can actually learn Spanish and integrate with the culture. Are you looking forward to learning a little bit more about the way Spanish live and picking up their daily routine? Maxine: Yeah, again, part of the choice of living in the area that we chosen is that it will force us to speak Spanish because not many people speak English in Vilamarxant. We are both trying to learn Spanish. Phil is learning it slightly differently from me. We have different learning styles. Me being a teacher, I need to be taught all the grammar. Phil, being an engineer, he just has to have words so that he can point to things. So, we're learning Spanish completely differently. No doubt, when we get out there we'll combine forces and find a way of making us understood. Both of us are quite passionate about making sure that we actually contribute to the local community. We become part of that community just like we are in our community here in Cheshire, we will intend to do that out there. We don't want to just go and sunbathe, we're actually going to get out there and do stuff as well. Vicky: Oh wonderful, that sounds incredible. Finally, one last question, what advice would you give to friends, family, or anyone, really, looking to buy in Spain? Maxine: Be clear about what you want. Spend a bit of time doing some research before you actually start visiting or going out there. Do a bit of research at home and be clear about what it is that you really want. What do you want your property to do? Is it something by the sea? Do you want a property where friends and family can come and visit? Is it going to be your permanent home? Is it going to be a holiday home? It's all those sorts of things. Try and make all those sorts of decisions before you really get seriously into looking. One of the things, I think, that Home España appreciated from us, was our clarity in what we wanted. We were always quite clear from the word go. If it didn't have a pool then don't take us to look at it. If it didn't have three bedrooms, we weren't interested. So, it's actually that clarity of what is it that you want. Then show us the range within your budget that you've got available to you. Vicky: Phil, do you have anything to add to that? Phil: No, I'm sorry to be so boring and dull. It was just perfect. I have spent my whole life working with target focused professionals in the aviation industry and this last five or six years we've had "kenobos." It has been a little bit of a surprise to me that not everyone is as focused on what they should be doing, is perhaps my opinion, as it suggests they should be. But Home España is one of the most professional organisations I've ever had the pleasure of working with. I just found them to be fabulous and very pleasant, very personable, and very, very genuine. They are just great people to work with across the board. Anything you wanted, at the end of a phone call, they just help you. And a big part of this is the after sales service that they give you as well. I can't speak highly enough of them. Thank you for listening and thanks to Phil and Maxine for sharing their experiences, and Home España, as well, for their help to make this episode possible. I really liked hearing about the memories that they are looking forward to creating with their grandchildren running around in the orange grove trees, and splashing about in their big pool, and also the rural life that they're planning to lead as well. If you liked what you’ve heard, you can search this agent's properties and more on Kyero.com. If you’ve enjoyed this episode, we’d really appreciate your 5 star rating on iTunes. It helps us reach and connect with more people and their dream home in Spain. Get a location guide by emailing [email protected]. We’ll reply with the latest data and information on the areas you are interested in. Calculate your budget. Simply visit kyero.com/budget, enter two numbers and there you are, you’re done! on the podcast. Just email [email protected] and we’ll take it from there. Tune in next time when I speak with Elena, from London. 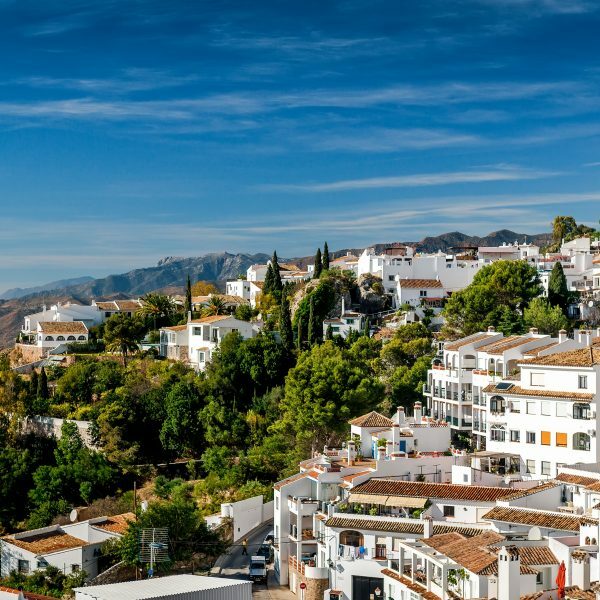 She's purchased an apartment in Ontinyent, and I can't wait to tell you all about the wonderful journey she's had searching for her dream property in such a beautiful location, as well. I’m Vicky Carter and you’ve been listening to the Kyero.com Spanish property podcast. I’ll see you next week! 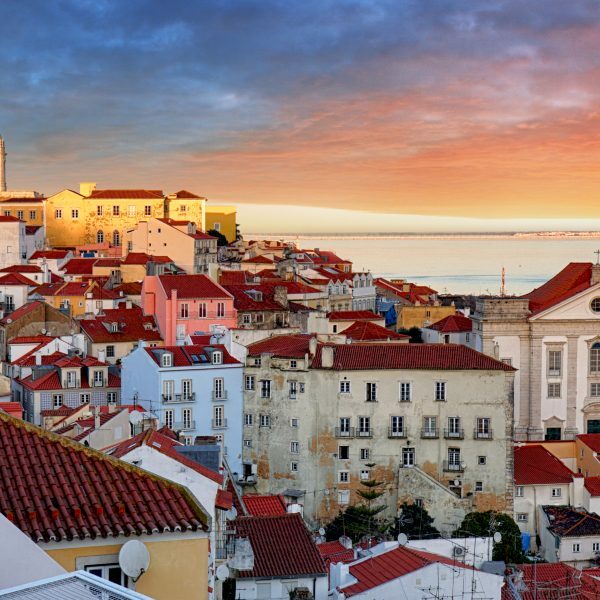 Have you bought a home abroad?